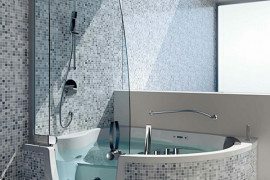 It is fun to design a bathroom, and with so many beautiful styles and ideas to choose from, there is no way you can go wrong. 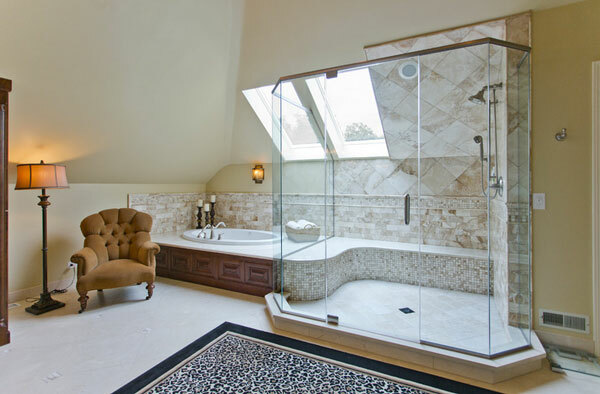 A bathtub and shower combo is great if you are looking to maximize the amount of bathroom space you have. You are probably wondering how can you achieve this. Sometimes choosing one over the other can be tough. But it shouldn’t be. Whether you are looking to decorate your bathroom or design one from scratch, this post will help you find an arrangement that best fits your tastes. When looking into a shower and bathtub combo, you need to make sure you have enough room to work with. You don’t want to settle on an idea and change it mid-way because there is not enough space to create what you had in mind. So what do you do if space is an issue? Glass walls. A single piece divider will cut out all the unnecessary borders and door frames. This kind of partition allows for more flexibility and accessibility. 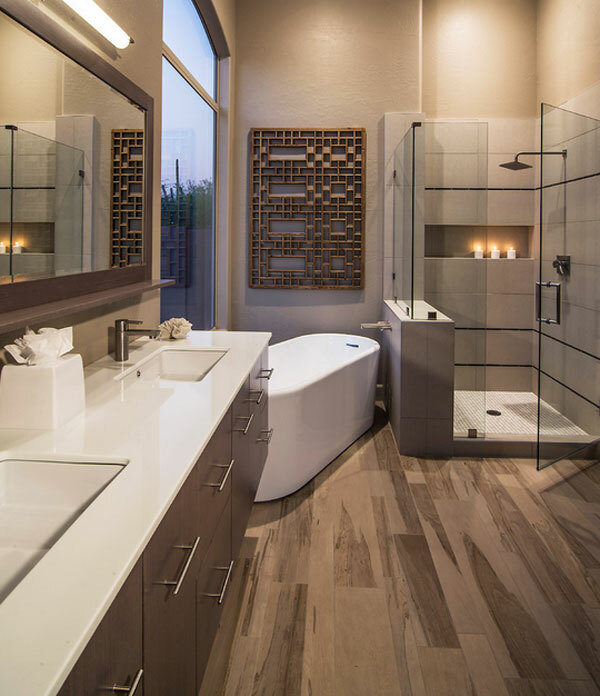 Instead of creating two separate rooms, you can have an area that houses both the bathtub and the shower, and still maintain the overall aesthetics. 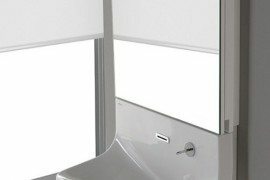 Bathrooms with a glass divider appear to be more spacious because the fluidity of the decor is not disrupted by solid walls. 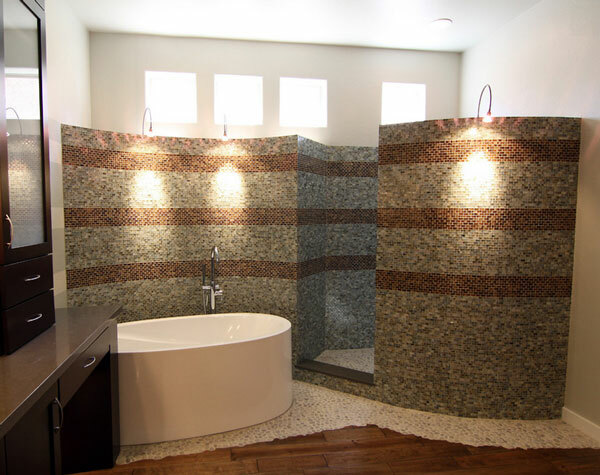 Many home designers are choosing to incorporate rocks into their creations. 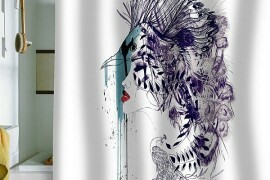 This particular technique is great for homes that are edgier in style. 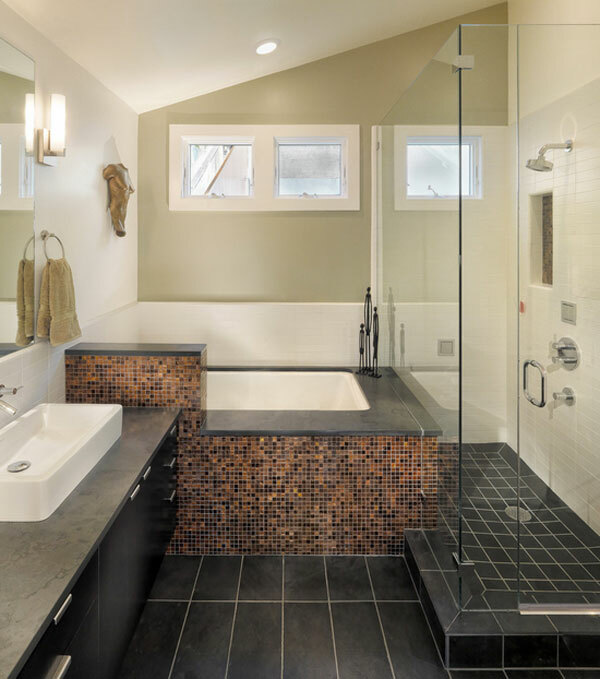 Rock-inspired bathroom designs are unique because they draw inspiration from nature. The design from Beautiful Remodal (above) is something you don’t see everyday. It partitions the bathroom to form a little cave where an individual can shower in privacy. 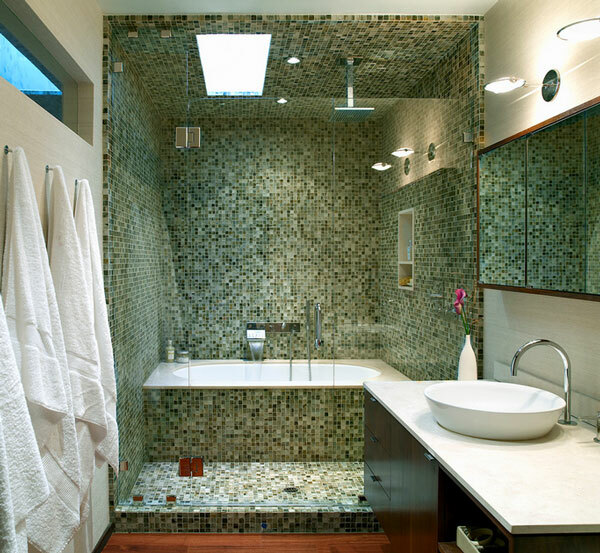 If you find glass dividers to be too revealing, then this stone-walled shower chamber can be a great alternative. If cost wasn’t an issue, so many people would choose to transform their bathroom into a stone cavern. Not to worry, there is a way around the problem. 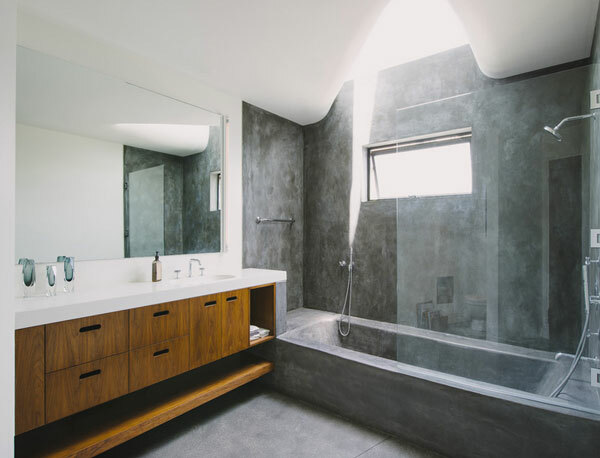 By incorporating grey-scaled color schemes, you can keep your budget and have your dream bathroom all at once. 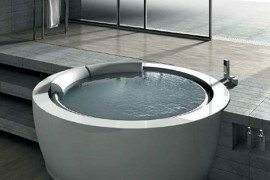 No matter the style or design of the bathroom, a stand-alone bathtub will be an excellent addition to your home. 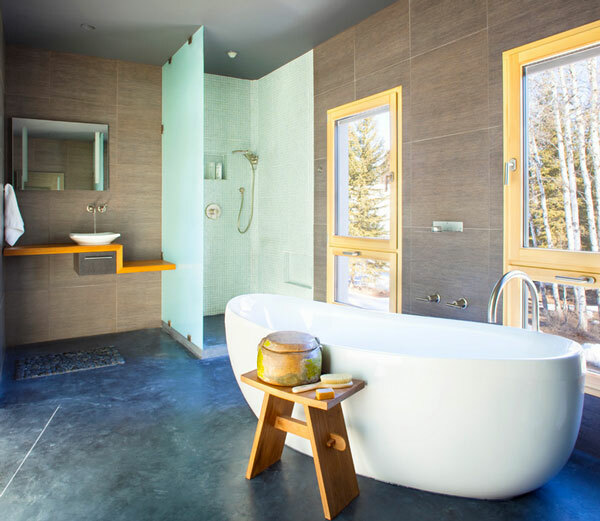 Free-standing tubs are like art pieces found in a modern museum. 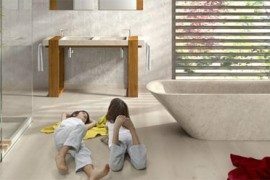 They complement and enhance the bathroom in ways a conventional bathtub can’t. Bear in mind that if you want to incorporate a free-standing bathtub, you cannot escape the task of building a separate shower. Separating the tub and shower area means you can have more variation. 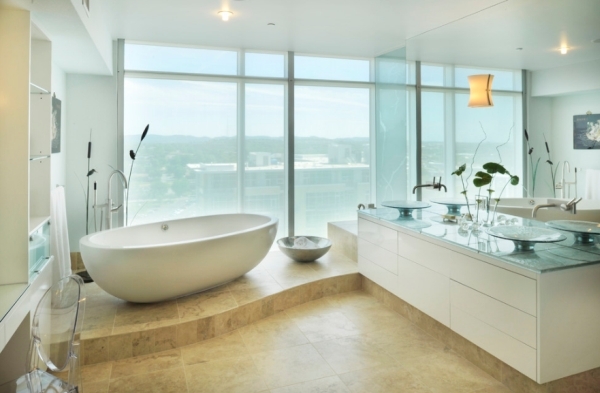 You can position the bathtub near the window so that you can enjoy the outside scenery. It would be best to place the bathtub in an area that is peaceful and quiet. Most people like to make use of the window because the direct contact with natural light makes bath time that much more relaxing. 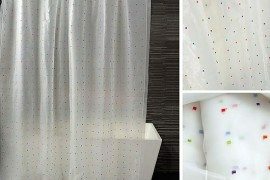 After seeing some of these bathroom ideas, I hope you found one to you liking. Whether you decide to stay true to the bathtub and shower combo or not, it is only a matter of time before you put your ideas in motion. Just remember that when designing a bathroom, the number one thing to take into consideration is space. As long as you partition your space strategically, your renovation process will never run into any problems.